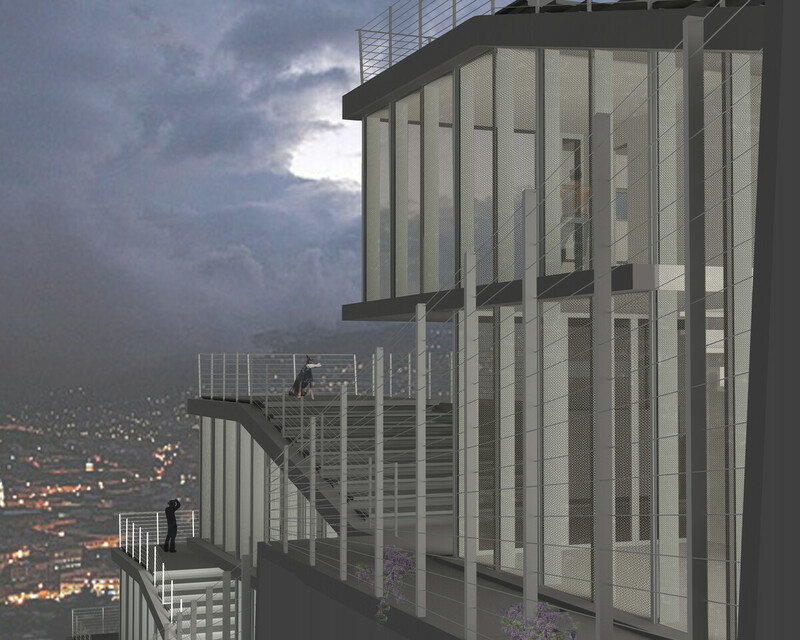 This five unit residential Project sits in an unusually thin site on the western edge of the Itchimbia Mountain, overlooking Quito’s historic core. 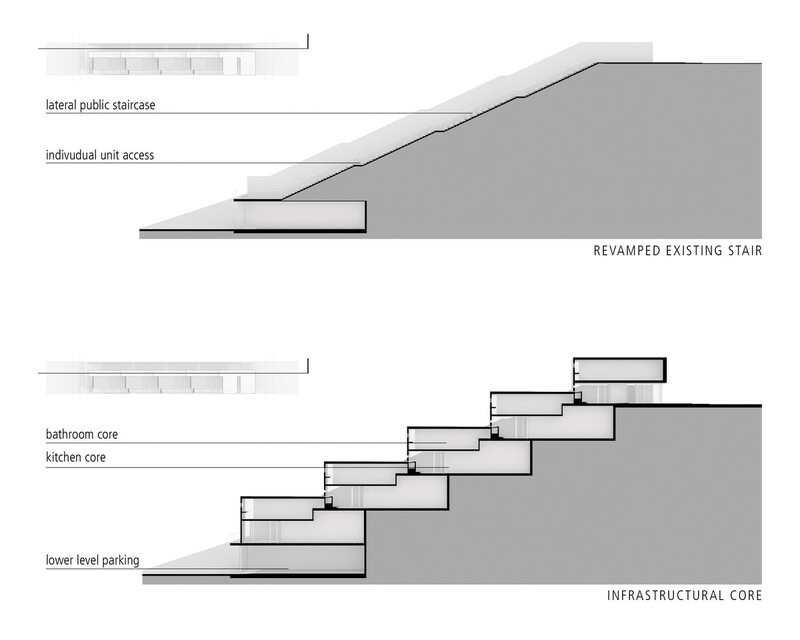 Capitalizing on an adjacent public staircase, the building negotiates a 15 meter sectional difference through a fluid terracing section. 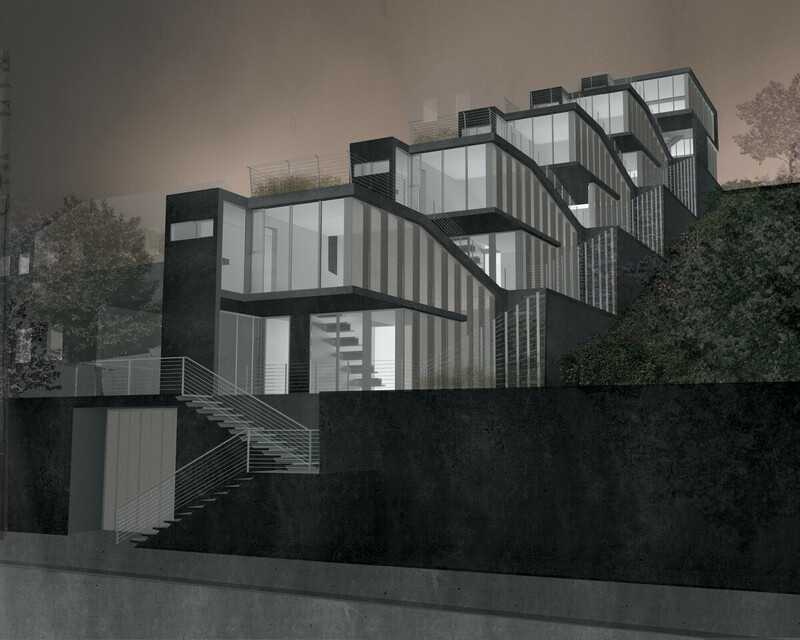 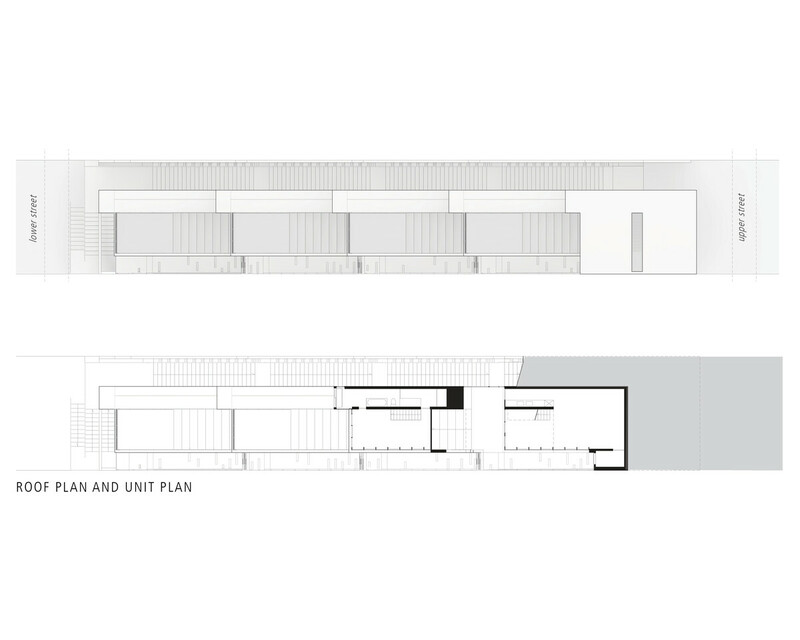 The section, intentionally blocks the middle ground in order to frame the historic core and also provide privacy to each individual dwelling. 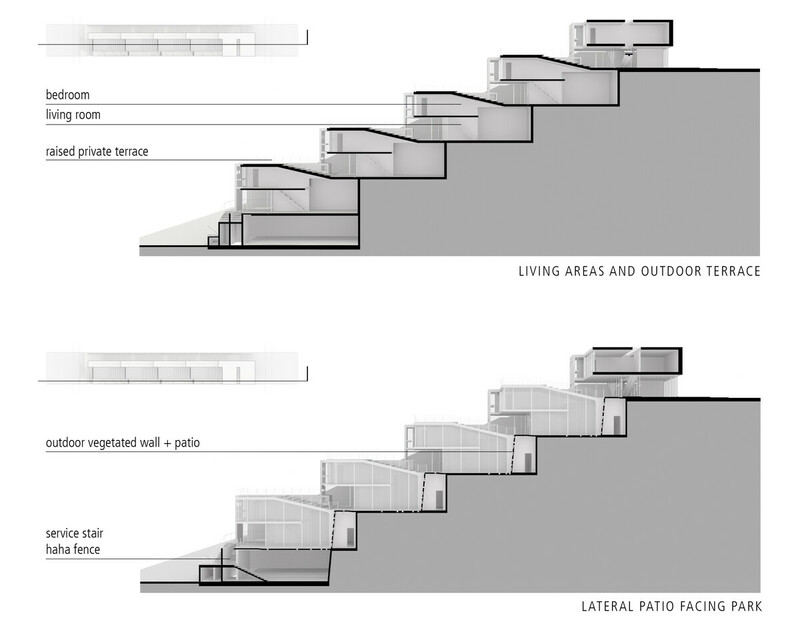 The units are accessible through both the upper and lower street.